There’s only one place to begin today’s post: with the obligatory I-haven’t-blogged-in-forever mea culpa. Obviously, it’s been a while. And to those of you who had (once upon a time, long ago) come to look forward to regular TOD posts, I’m sorry to have disappointed you with the lengthy break. The reason for the break is simple enough. 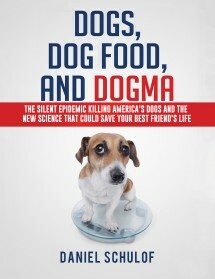 For the past few years I have been devoting all of my writing efforts to my forthcoming book Dogs, Dog Food, and Dogma. Alas, I’m just not energetic enough to do good work on more than one writing project at a time. And long ago I made a conscious decision to prioritize the book over the blog. But the book is now complete (it’ll be published on November 1st; you can pre-order copies here). So it’s back to blogging again. With that out of the way, let’s turn our attention to today’s topic: calorie labeling in the modern-day dog food market. 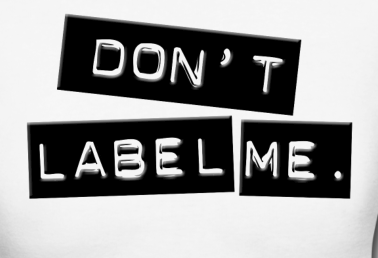 Since the early 1990s, the Food and Drug Administration has required the producers of (most) food products sold for human consumption to include statements of caloric content on their product labels. From a public health standpoint, this is obviously a sensible requirement. Obesity is a deadly disease and it has been proven to have some direct links to caloric consumption. If food producers are required to tell us anything about the nutritional content of their foods, they should be required to tell us how many calories those foods contain. But pet foods aren’t subject to the same regulatory requirements as their “people food” equivalents. Instead, they have long been regulated primarily by a rules framework published by a group called the Association of American Feed Control Officials (AAFCO). AAFCO isn’t a governmental agency, it’s a private organization. But the majority of states have incorporated its model rules into their consumer protection laws. So, if you want to sell dog food across the United States, you have little choice but to comply with AAFCO’s labeling requirements in full. Unfortunately, for many years, those requirements didn’t include any kind of directives about calorie labeling. You’d think, seeing as (a) most of us consider our pets to be family members and (b) obesity is just as deadly for pets as it is for humans, that calorie labeling would be just as sensible on dog food labels as it is on their human food equivalents. But that’s not how AAFCO saw the issue. In the ten years that followed the FDA’s adoption of calorie labeling requirements, AAFCO didn’t once make a serious effort to even consider transferring those requirements over to the world of pet food labels. As you can probably imagine, this struck most consumers as strange. In 2001, a study conducted by researchers at the Ohio State University showed that 80% of pet owners (and a whopping 97% of their veterinarians) wanted calorie labeling on pet foods too. But, evidently, the study did little to change AAFCO’s views on the matter. Because nothing changed in the wake of the 2001 study. The status quo on pet food calorie disclosures persisted for another four years. But in 2005 AAFCO finally caved. Sort of. That year, the organization’s Pet Food Committee (the subsidiary group responsible for coming up with pet food labeling requirements) finally formed a “working group” to begin considering whether to incorporate calorie disclosure requirements into AAFCO’s model rules concerning pet food labeling. decade before AAFCO finally began requiring all pet food manufacturers to include some form of calorie content disclosures on their products. At first glance, the glacial pace of AAFCO’s progress on this seemingly straightforward issue is difficult to explain. If consumers so obviously want something as simple as calorie labeling, should we really expect the pet food experts to need an entire decade to deliberate over it? Well, yes, once we consider who those experts actually are. Because in addition to the various FDA representatives, state agriculture administrators, and veterinarians that serve as AAFCO Pet Food Committee members, there’s another group of folks who get to participate in the committee’s meetings: industry advisors. For AAFCO’s Pet Food Committee, the term “industry advisor” usually means “lobbyist representing the interests of a specific industry organization”—the Pet Food Institute, the National Grain & Feed Association, the American Feed Industry Association, etc. Over the past ten years, animal welfare advocates have also served, on rare occasions, as Pet Food Committee industry advisors. But the great majority of advisors represent the selling side of the pet food market, not the buying side. There is an interesting postscript to this story. 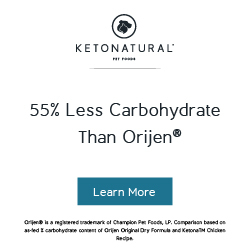 As I’ve discussed previously on this blog (and as I explain in far greater detail in Dogs, Dog Food, and Dogma), there is some staggeringly persuasive new scientific evidence suggesting that carbohydrates are uniquely fattening nutritional substrates for dogs. These studies strongly suggest that a calorie of carbohydrate will make your dog fatter than a calorie of fat or a calorie of protein. And that carbs are disproportionately to blame for the canine obesity epidemic. Such conclusions carry some dire implications for the existing pet food market. Because most dry, kibble-style dog foods (the ones that at least 80% of us feed to our dogs) are composed primarily of carbohydrates. So a substantial and ever-growing group of dog-owners is motivated to choose pet foods with as few carbs as possible. Unfortunately for those folks, AAFCO does not currently require manufacturers to disclose the carbohydrate contents of their products. Despite the evidence linking carbs to obesity and despite the fact that the FDA has long required the producers of “people food” to disclose the amount of carbohydrate in their products, AAFCO’s model rules do not currently mandate any form of carbohydrate disclosure. Should we expect those rules to change? Well, perhaps. Just not any time soon. In 2010, AAFCO’s Pet Food Committee formed a working group to consider the issue of mandating carbohydrate disclosures on pet food labels, just as it once did for calorie disclosures. And, if the new group faces the same industry opposition as the old one did, then we should probably expect to see dog foods with meaningful carbohydrate labeling by about, oh, 2020.